Last week we featured the NYC New York Color Animal Instinct. This week, we decided to give that mani a little more life, and just added Sally Hansen's Fuzzy Coat in Witch-ful Thinking. 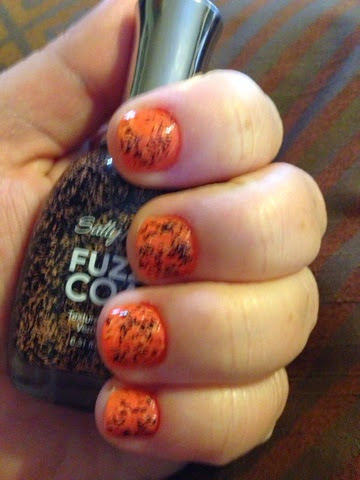 What I love about fuzzy coat, is that it does not require a whole new mani. I just add it to the last week's mani, and I have a whole new look! It is simple, and so easy to add a little flair when you only have a few minutes! MamaBreak received products to review, but we were not required to feature them on our Mani Monday. We only bring you products we think you will LOVE. As always, our experiences and opinions are our own.